As this is being written in mid July, after months of study and talk House Bill 4624 that will increase hunting license fees and Senate Bill 406 that will increase fishing license fees have been introduced in the legislature. 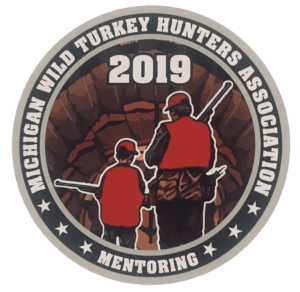 Our wish is that each and everyone had a successful turkey hunt this past spring whether or not you outsmarted that old gobbler. There is no other experience like being in the woods and fields at the first crack of daylight to experience the outdoors world awaking. Think of the anticipation as a nearby gobbler greeting the morning light. The restricted portion of a turkey hunting license brings in somewhere around $1,500,000 each year. While the fund is being used for parking lots, gates, stream bank stabilization and questionable land purchases, among others there appears to be a lack of funds for equipment purchases and creating and maintaining turkey habitat on state forest lands. Both the state chapter of MWTHA and the Pere Marquette Chapter are affiliate members of the Michigan United Conservation Clubbs (MUCC). In the list of resolutions to be considered at the MUCC convention during June 23-24 at Sault Ste. Marie was one titled Fall Turkey Season that originated within District 10, which is in the Saginaw area.